QC/ENG - Jacobs Machine & Tool Company, Inc.
Machinery and Die Designing, Solid modeling w/ Sheet-metal development. 2D Drafting and 3D Solid Modeling w/ Sheetmetal Development. 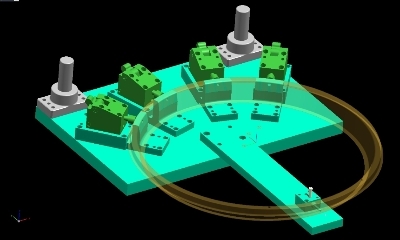 Machining complexed shapes in Mold and Die applications. 2 and 3 axis Machining. 2 and 4th axis Programming / Specific software for AGIE wire edms / Programs 3D wire frames and solids models. Our inspection procedures consists of using skilled personnel when checking operators and parts. Toolmakers are held to the highest degree when producing precision and that’s why our Toolmakers are our inspectors. “Attention to detail” is a must.We use a variety of methods when inspecting parts and details. CMM’s, Optical Comparators, Jo Blocks, Gage Pins, Cadillac and air gages. JMT is ISO certified through an in-house CMM service company. 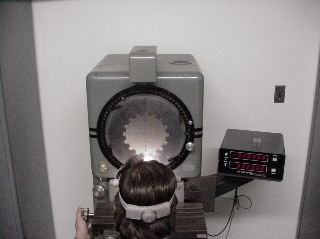 Check Techs Inc. is a third party company that inspects and ceritfies all of JMT’s tooling, stampings and gages. Through CTI, JMT is up to date with cert’s, software and CMM capabilities needed to insure quality parts and tooling.